While this condition is the specialism of an Endocrinologist, the thyroid plays a large part in the basal metabolic rate and hair growth cycle and as the symptoms of an untreated thyroid condition often present in a trichology consultation, I therefore felt a description prudent. 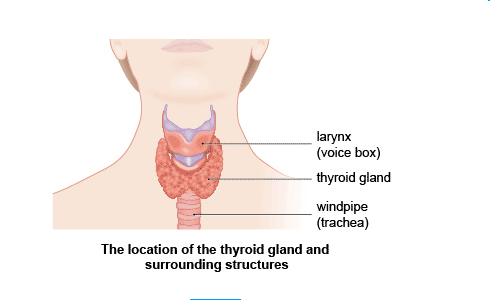 The thyroid gland is influenced by your brain’s production of TSH (Thyroid Stimulating Hormone) and the subsequent production of thyroid hormones (T4 thyroxine and T3 triiodothyronine) are responsible for many aspects of general health including: weight, depression and energy levels. An undiagnosed thyroid abnormality can increase the risk of obesity, heart disease, anxiety, HAIR LOSS, sexual dysfunction, infertility and more. No wonder the thyroid is given the nick name “gland central”. Hair Changes hair loss is frequently associated with thyroid problems. This is usually with HYPOTHYROID- underactive thyroid (rather than hyperthyroid -over active thyroid, producing too much of the stated hormones- where hair loss is much less likely). A thyroid that is underactive will be producing too little T3 and or T4 and there are varying degrees of hypothyroid the patient can experience. 80% of the Endocrinologist’s cases of hypothyroid are Hashimoto’s Disease- this can pass undetected for years so completely depends on the patient presenting symptoms early. This can be miss- understood as signs of aging or even the menopause. The patient presenting with this type of hair loss may have many of the following symptoms but always an increase in the amount of hair being shed. Up to a third of the overall density may be lost. The hair becomes coarse, dry and brittle therefore more likely to break. The outer third of the eyebrow hair may thin or be lost. There are however other possible triggers of this including hormonal changes- Shuna Hammocks can decipher. Skin The skin can become very dry and even scaly in patches; this may be on the body or the scalp. The sufferer experiencing this symptom may feel the scalp is rather itchy and rough to the touch. You are advised to wash and condition the hair daily if possible as a matter of good hygiene and routine. The ideal products and treatment for home use also, is designed specifically for you and discussed in consultation. Bowel problems involving constipation, irritable bowel syndrome is another associated symptom of hypothyroidism. The way in which various vitamins and nutrients are absorbed can be effected by disturbances with the bowel; often this leads to deficiencies which in turn often cause hair loss. It is essential the correct tests are carried out as taking supplements “blindly” can be dangerous if overdosing and “doubling up”, particularly in the case of iron. It’s better to correct as deficiency and follow up with blood tests to monitor absorption rate before then taking a maintenance dose. A subject Shuna is most interested and passionate about. Menstrual Irregularities periods can be heavier, more frequent and painful. These symptoms also mimic Polycystic Ovarian Syndrome and endometriosis- conditions that often present alongside other conditions seen at Sussex Trichology such as Androgen Dependant Alopecia (female pattern hair loss), where genetically pre disposed individuals become sensitive to (mostly) normal levels of circulating levels of androgens- resulting in the thinning on top of the scalp. This condition CAN be controlled; in women there is no need for “accept the reduction in density” this is NOT simply an age related subject! In fact, it can be triggered in women from the age of puberty. Unfortunately there is a tremendous amount of miss information written, particularly on-line, regarding this distressing hair loss condition. Weight gain, this could be a symptom of under active thyroid or another marker of conditions such as PCO as mentioned above. If a gynaecological condition is suspected, as so often during the hour spent in consultation subjects like this come about, medical referrals can be made on your behalf through Sussex Trichology and the correct diagnostic tests, treatment, contraceptive choices, topical treatment can be discussed and prescribed. I work closely with other specific specialists and have developed, during my 14 years of practice, a good respected professional relationship with. Free T3, T4, Free T4, TSH and Thyroid anti bodies. You are entitled to a copy of your results, please request that these include the reference ranges as the parameters vary from one laboratory to another. I hope the reader has found this article useful, in dispelling some of the myths of hair loss associated with thyroid conditions. 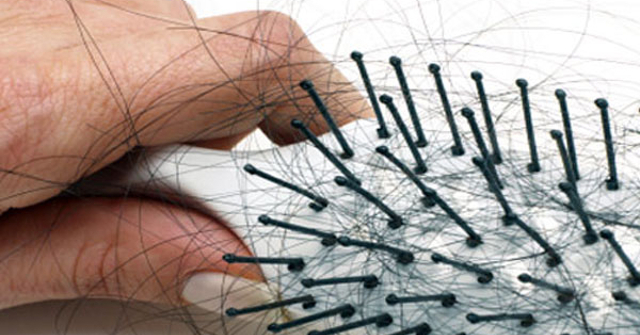 Whilst a frequently occurring reason for hair loss there are of course many others. How amazing is the function of the thyroid, especially considering this little gland weighs less than 1oz! PCOs is a common cause of hair loss, it can so be accompanied with female pattern hair loss also- both conditions can be controlled and with the hair density- a cosmetically acceptable level of regrowth attained also! Pm me if you would like to know more. look into the geneology of it, because Carlicia was suffering hairloss from4 yrs old! Would there be connections with Roxanne Hampson Lamoth and her daughter suffering the same thing though, maybe roxanne would need to mailyou directly? Hair loss patches in children of this age are often of an emotive or anxiety cause, it’s not automatically assumed that thyroid is the reason with minors. I regularly treat Alopecia Areata in children under 10. Again see my knowledge base on my website please. Thank you for your comments- obviously I can only comment on thyroid effecting the hair. Helen, I suggest you ask for a second opinion-7 years is too long for the thyroid to not be under control. The hair loss and weight gain are understandable when the correct dosage hasn’t yet been achieved ( tho not fault of your own)! The scalp may however be due to the understandable anxiety the former condition and symptoms must cause. Try daily washing with an anti fungal shampoo and let me know how it improves. Hello Rose Obrien, there are many factors that effect the thyroid’s output- I am not in a position to surmise why your hyper thalamus or pituitary gland are sending out different quantities of T3 and T4 ( assuming you are having the full thyroid profile each year)? It’s common for individuals to aquire hormonal imbalances, conditions such as androgen sensitivity ( for example PCOs and female pattern thinning) or perhaps you could be showing signs ( forgive me as I don’t know your age group) of becoming peri- menopausal. Your symptoms are consistent with all I’ve mentioned.